blog Espai Jove Cubelles: PACK ANTIAVORRIMENT - ACTIVITATS D'ESTIU PER A JOVES a CUBELLES!! 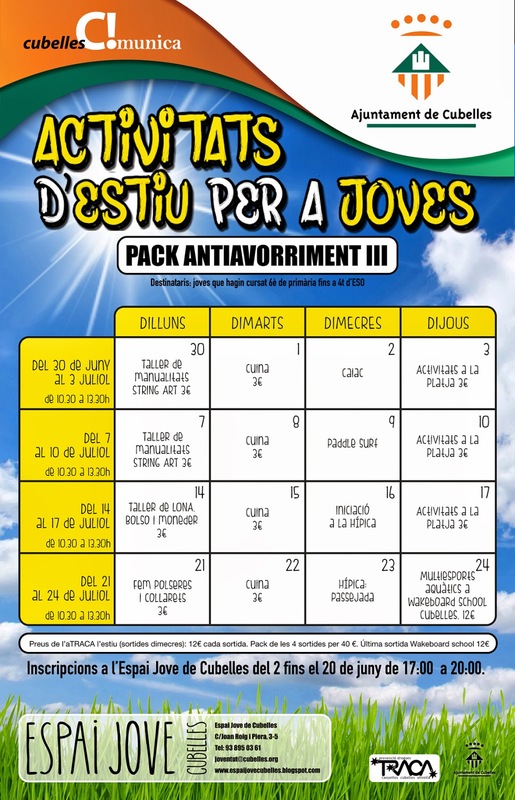 PACK ANTIAVORRIMENT - ACTIVITATS D'ESTIU PER A JOVES a CUBELLES! !